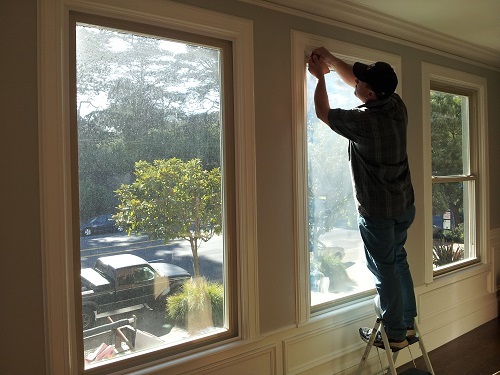 Mike G. lives in a beautiful, 107-year-old, classic condo in San Francisco with beautiful bay windows. He had several issues with the windows in his home, one of which was the excessive noise coming in from outside. Like many homes in San Francisco, the street noise is always present, but it never seems to subside. Mike asked us to help him with the noise. When we were done insulating his windows, he was able to enjoy his home again. The noise from the vehicles went from a constant badgering to a low, distant mumble, and he couldn't hear the cars idling any more like he did before. 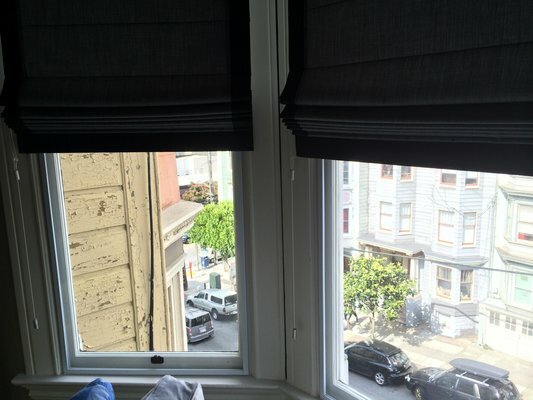 You can read Mike's review of Castle Window Covers on Yelp. You can also read about the other issues we solved, too. Diane has lived in a beautiful home in San Francisco for over seven years, but she had finally had enough of the noise from the busy street she lived on. She was afraid of the expected, massive cost of replacing her windows, and she was unsure if new windows would even make a significant difference in the noise. Diane found Castle Window Covers and we came out and measured to job for her. When she heard how effective our soundproof window system works, she loved it. 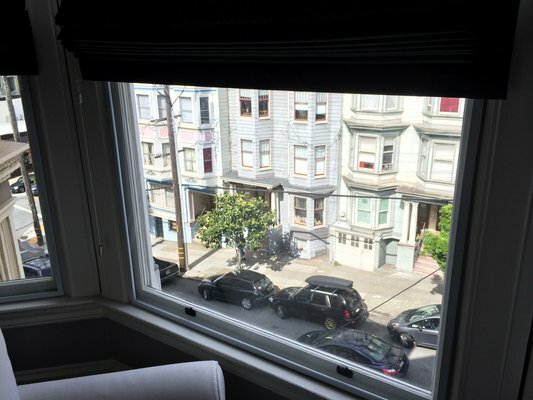 Then we let her know the price to cover 7 of her windows in her San Francisco home, and the cost is significantly less than having to replace her windows. Once we were done with the installation, the noise level in her home is way better than ever before. Diane is thrilled with the soundproofing capabilities of Castle Window Covers, and she says that it's finally "peaceful to be at home!" As a bonus, not only is her home much, much quieter, her windows are also insulated from heat and cold which is keeping the temperature more comfortable while also saving her money on monthly heating and cooling costs. 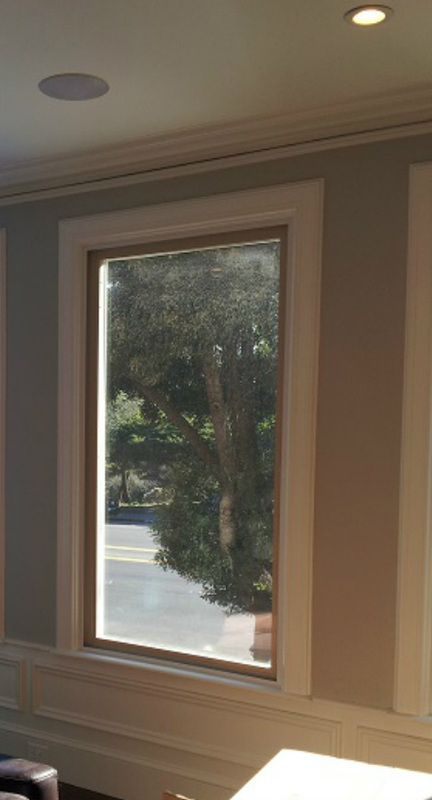 Another one of Diane's now-virtually-soundproof windows in San Francisco. Diane's classic San Francisco home is on a noisy, busy street. We helped her soundproof her windows. Call us today for a free estimate or more info on soundproofing your windows. You can also click above to email us directly through the website. Diane's beautiful window used to let in a lot of street noise in San Francisco. Our soundproof window cover system is virtually invisible and reduces noise tremendously. Katie and her family had just moved into their home in San Francisco on a pretty noisy and busy street. When they bought the house, it had recently-installed, dual-pane windows. The street noise was still too loud! A neighbor of Katie's already had Castle Window Covers installed to help soundproof her windows, so she referred Katie to us to solve her problem. Katie called us, asking if we could help soundproof her windows to eliminate most of the street noise. Within a week, the measurements were done, the price estimate was given, and the Castle Window covers were installed soon thereafter, all for a fraction of the cost of dual-pane windows. Now that the acrylic, sound-reducing window covers are installed, Katie and her family hardly hear the noise outside. They can sleep better at night and they can concentrate better during the day. Kao lives near a busy intersection. 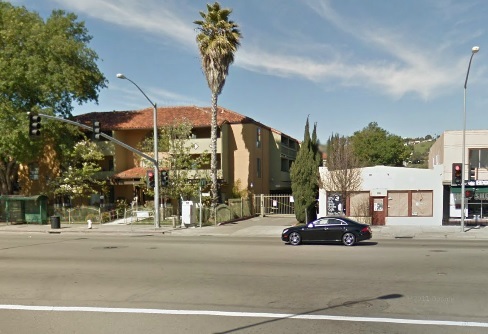 On top of that, his apartment backs up to an alleyway with a lot of noise, too. Then, there's the auto shop that's on the same block as his that backs up to one of his windows where he can hear power tools, clanging and all the other noises that come from an industrial business. Compounding the problem, Kao often works at night and has to sleep during the day! Kao contacted us with his noise problem to see if we could help him soundproof his windows. As a renter, he can't just replace the windows, so he asked us for help. After we installed Castle Window Covers on the windows facing the auto shop and the busy intersection, the outside noise was reduced significantly, and now Kao can sleep at any time of the day. Living on a busy street, near a noisy intersection, or next to a loud auto shop can be devastating if you need peace and quiet. Castle Window Covers soundproof your windows by up to 70%, and they're much more effective than dual-pane windows. While "Little B." has an awesome nickname, there was nothing about her noise problem! B's windows were letting in all kinds of excessive noise from around her home in urban Sacramento, especially one, particular industrial, mechanical sound coming from a business nearby. She researched a bunch of window noise reduction options, then she found our soundproof window system. Not only did we make her bedroom "peacefully quiet," we also saved her a ton of money on what she would have spent if she had replaced the windows. You can read Little B's Yelp testimonial here. A.S. lives very close to a train station. The whistle from the train would wake her and her husband up about three times every night. A.S. took the time to research what to do to soundproof her windows. When we showed A.S. and her husband our soundproof windows demo right there in their home, they were already imagining the possibility of getting a good night's sleep. For one, we were 35% less-expensive than another "solution" that they would have had to install themselves (we were 35% cheaper even with the insulation), and we were also half the cost of the estimate she got to replace the windows altogether. You can read her Yelp review here. Pelu had a nightmare of a situation: he lives near the train station in San Mateo, and the train would leave at 4:00 AM and wake him up on a regular basis. Pelu did a lot of research on window insulation, and by the time we met with him, he was ready for just about anything that would help! Not only did we help, but we beat everyone else prices. Most importantly, Pelu even measured a 12-decibel difference in noise reduction after we installed our soundproof windows system. Now Pelu can sleep at night, even when the train leaves the station. You can read Pelu's Yelp recommendation here. Emily has the same issue that most San Franciscans have: they love where they live, but the busy-city noise is unbearable - you just can't get used to it. Emily used to sleep with earplugs in every night, and it still wasn't quite adequate. Street noise, garbage trucks, and just general traffic along the street where Emily's house is was just too much, but not any more. After we installed our Castle Window Covers, Emily is able to sleep through the night without the need for earplugs. Now she can enjoy her home as well as the beautiful city she lives in. You can read Emily's Yelp review here.